Mr. Spinotti added modern touches to classic film noir style in his work on this movie. 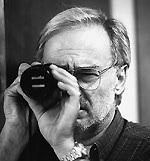 The look of the film was heavily influenced by the work of renowned still photographer Robert Frank; Spinotti says that he attempted to compose scenes as if he were shooting with a Leica. The paradise-on-Earth veneer which Los Angeles evinced in the wake of World War II is as thin as a quick coat of varnish in L.A. Confidential, a screen adaptation of James Ellroy's novel of ambition and corruption run wild (see AC Oct. '98 for complete coverage). This dark world was vividly brought to life onscreen by director Curtis Hanson (The Hand that Rocks the Cradle, The River Wild) and Italian cinematographer Dante Spinotti, ASC, AIC, whose credits include The Last of the Mohicans (for which he earned a 1992 ASC Award nomination see AC Dec. '92), Manhunter, Beaches, Crimes of the Heart, Frankie and Johnny, True Colors, The Quick and the Dead, Nell, Heat (see AC Jan. '96) and The Mirror Has Two Faces. Rather than screening film noir classics for visual inspiration, Hanson and Spinotti pored over the work of Swiss-born still photographer Robert Frank. They were particularly intrigued by Frank's 1958 book The Americans, a collection of gritty, startling black-and-white photographs documenting American life during the the mid-Fifties. Spinotti found himself moved by Frank's "strong selection of elements, his way of bringing symbols into the shots. His work is passionate, but it is passion filtered with intellect. On L.A. Confidential, I tried to compose the shots as if I had a still camera in my hand. I was constantly asking myself, 'Where would I be if I were holding a Leica?' This is one reason I suggested that we shoot in the Super 35 widescreen format; I wanted to use spherical lenses, which for me have a look and feel similar to still-photo work. We also knew we would be shooting a lot at night. With anamorphic zoom lenses, which we used on Heat, you are limited to a stop of f5.6; with spherical lenses you can open up to f2.8, 2.3 or more and still get a very sharp image. We also wanted to have the ability to move around and use Steadicam, which is easier with spherical lenses." The director and cinematographer agreed that Robert Frank's influence resonates in almost every aspect of the film's look, from lighting and camera angles to the selection of locations. Spinotti was particularly fascinated by the photographer's inclusion of "practical" lights in his photographs, noting, "I told the production designer, 'You will love this film, because what you select as practicals will be our major sources of light.' In fact, practicals were quite often our key lights on this film." Was Spinotti concerned about the problem of practical key lights "burning out" on screen? "No," he answers. "In fact, I wish I could have burned them out more, because I like that look. As you look at Frank's photographs, you see there is often a halo around the lights. These halos are one of the things people are often struck by in his work. I think that 'burn-outs' and halos worked for us as well in L.A. Confidential, enhancing the period and mood." Despite his departure from the classic film noir style, Spinotti did include some traditional motifs in his overall photographic approach, such as the occasional appearance of menacing, exaggerated shadows, or shadows cast on walls by venetian blinds. One of the more notable visual aspects of the picture is the cinematographer's use of darkness to surround and highlight the most important aspect of each tableau, much in the way that early filmmakers actually vignetted the edges of a scene to emphasize its vital elements. He explains, "I like to shoot dark images. I'm drawn to the mystery of darkness with brightness in the center; that's instinctive to me."